Tube normally comes in 6 metre random lengths, but can come in 9 or 12 mtr lengths. Many of our customers require the pipe to be cut to a certain length, and they prefer this to be done before the pipe reaches site. 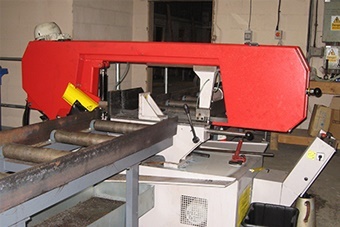 To this end we offer both saw cutting and flame cutting (for over 24” pipe). 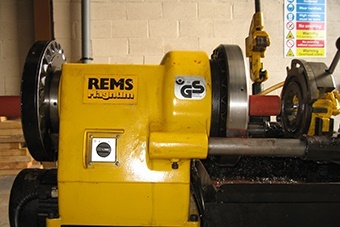 All cutting to length is subject to agreed tolerances, customers must state tolerances + and – for a particular length. BS1387 tube is normally supplied in 6 metre screwed random lengths. Arran offers the service of adding a thread to BSPT (maximum diameter 6”). 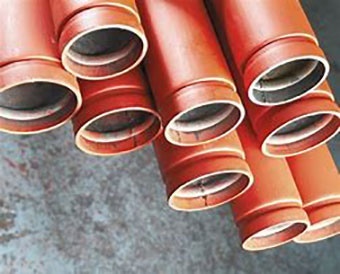 We can provide for your pipe/tube to be shotblasted to various industry standards. It is very important to apply a protection coat within 4 hours of shotblasting to retain the coating manufacturer’s guarantee. Please call us to discuss further. Welcome to Arran Pipeline Supplies - We are Leading Suppliers of Carbon Steel Pipe, Tubes, Fittings, Flanges and Valves for the Petrochemical, and Allied Markets and within this website information is given on our work as stockholders and suppliers of products for the pipework fabrication and installation industry. Further content covers our supply of stock carbon steel tube, we also stock some stainless steel tubes, flanges, fittings, and valves.